When a call is placed to 911, the nature of the emergency can range from needing police intervention and/or immediate medical assistance in situations such as automobile accidents, gunshot wounds, slips and falls, childbirth, and heart attacks. 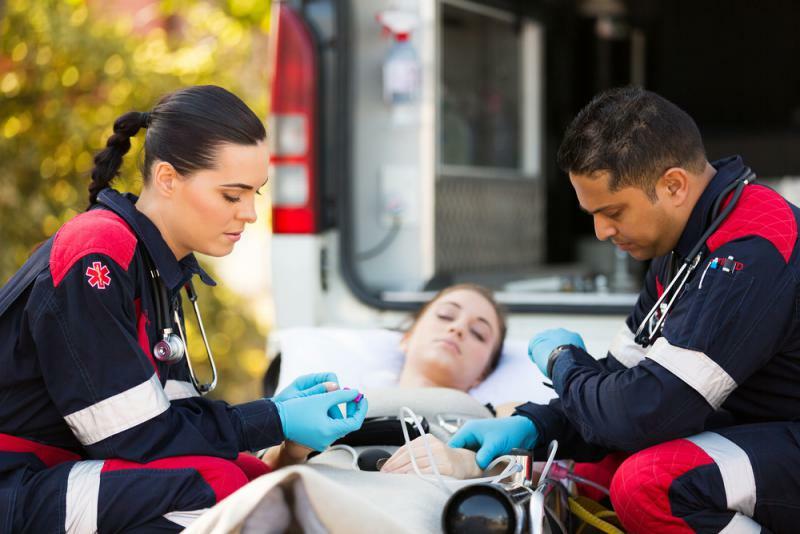 With the EMT-Basic program, you will learn the fundamental skills to assess a patient’s condition; apply the proper procedure for emergency care and when necessary, transport the patient to a medical facility. Acquire these life-saving techniques and be a true hero in emergency situations. * The EMT program is a NY State certification, and not a credit-bearing course therefore financial aid will not cover the cost of tuition. Get your EMT recertification with the EMT Refresher course designed to reinforce learned material and skills, and provide updates on policies and protocol changes. You will take an online challenge exam and in-class practical exam to uncover areas for improvement in didactic knowledge and practical skills profiency. The results will indicate which sessions you will need to attend.